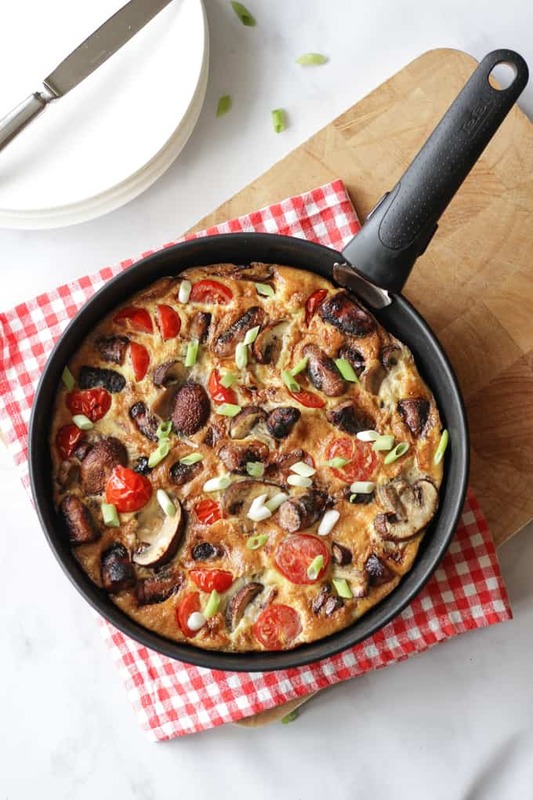 Full English Breakfast Omelette – The easiest ever “fry up” breakfast, all cooked in one pan. 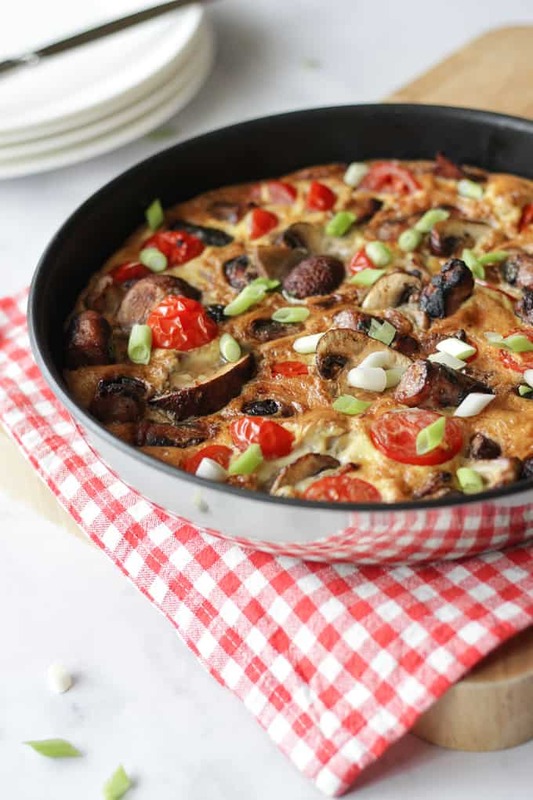 Packed with sausages, bacon, mushrooms, tomatoes and eggs. Perfect for breakfast, lunch or brunch. Oh hai best brunch/hangover cure/all round one pan good egg. Last weekend I had a very slight err, sore head, on Saturday morning. A 5pm shopping trip with my lovely friend Anna accidentally turned into a 3am home time after an unplanned evening dancing the night away. What can I say, I’m easily led and sometimes, when life is a bit much, there’s nothing better than laughter and dancing – right? George and Harri love to cook breakfast with me, especially at the weekend. Sometimes pancakes or waffles, often poached eggs on toast (classic). Harri offered to help on Saturday and when she suggested sausages and bacon, but I couldn’t quite face any faffing, this is what we came up with. 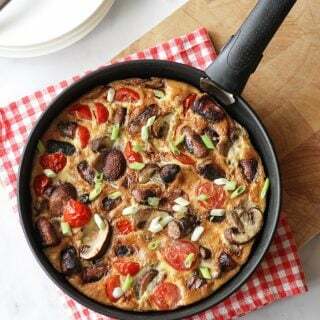 It is the perfect easy one pan breakfast and an excellent antidote to late nights and early mornings. I made this in one of my new Tefal Thermo-spot pans (which I mentioned in this post last week) In case you missed it last week, built right into the non-stick coating of the pan, Tefal’s unique Thermo-Spot heat indicator tells you when your pan has reached the right temperature to seal in the flavor of your food. No guesswork needed and perfectly crispy sausages and bacon – hurrah! I’m super impressed with these pans, especially for cooking meat. The deep shape of the frying pans is also perfect for this type of dish. I hope you enjoy the One Pan Full English Breakfast Omelette if you make it. What’s your favourite weekend breakfast? 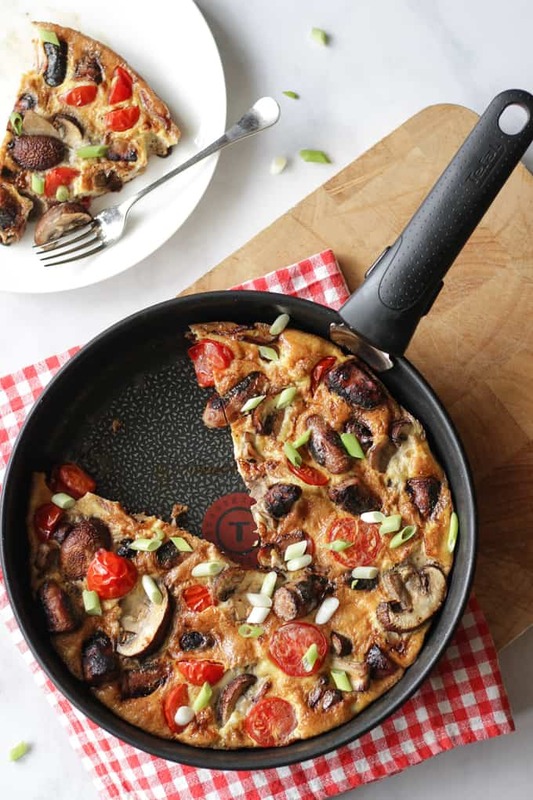 Full English Breakfast Omelette - The easiest ever "fry up" breakfast, all cooked in one pan. 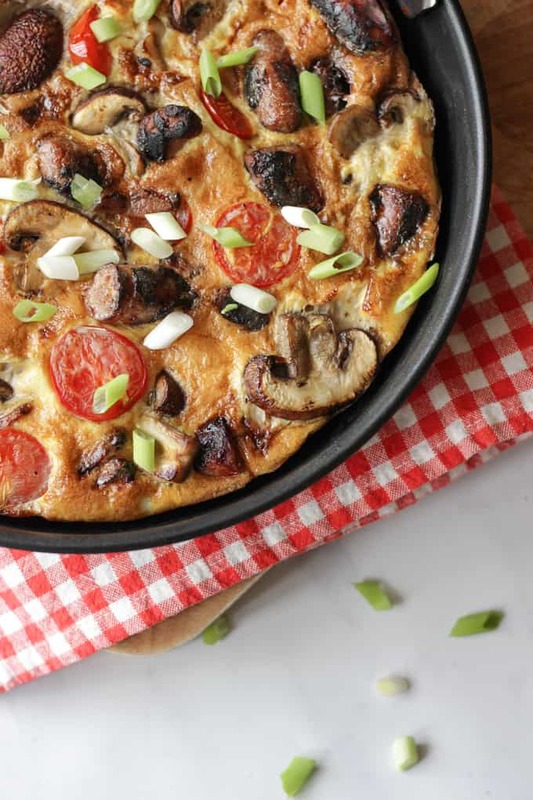 Packed with sausages, bacon, mushrooms, tomatoes and eggs. Perfect for breakfast, lunch or brunch. Heat your pan until it reaches the correct temperature. Add the sausages and bacon, both cut up into small chunks. Fry for about 10 minutes until crisp and browned. Add the mushrooms and tomatoes and cook for a further 5 minutes. Shuffle everything around so that there's a little bit of each ingredient in every bite, season generously. Remove from the heat and pop under the grill to finish cooking the top (about 5 minutes). 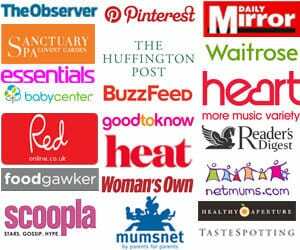 Disclosure: This post was sponsored by Tefal. As always all opinions are truthful.